What can make this even harder is when your hair routine requires a few extra steps, or more frequent trips to the hair salon. This might be because you have hair that needs a little extra care, or it could be due to your active and ‘always on the go’ lifestyle. This often leads to never giving your hair a break, or not having enough time to give it the attention it deserves. Without giving your hair time to heal or repair, it can lead to thinning, breakage, and a lack of vibrance. That’s it. No intense treatments or salon visits required. It’s likely you’re already following these steps, but the secret to making these two steps much more effective, could lie in your product. If you are neglecting your hair due to a lack of time, we can recommend a product that will save you time, and your hard-earned money. 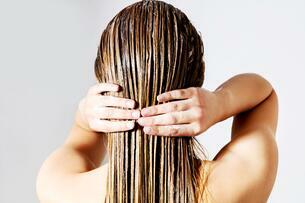 Skip the trips to the salon, skip the complicated hair care regimes, and skip spending money on expensive treatments. The best way to treat it really is by just shampooing and conditioning it. Here we introduce our Neutriderm Hair Enhancer range. By switching to Neutriderm your hair will experience a noticeable difference of 90% less hair breakage within one month of use. Just shampoo and condition twice per week. You can also reduce hair loss, hair thinning and strengthen your hair, protecting it from future breakage. Revitalise your hair and maintain your usual routine, without spending extra time or changing your lifestyle. The only thing you need to change is your product.